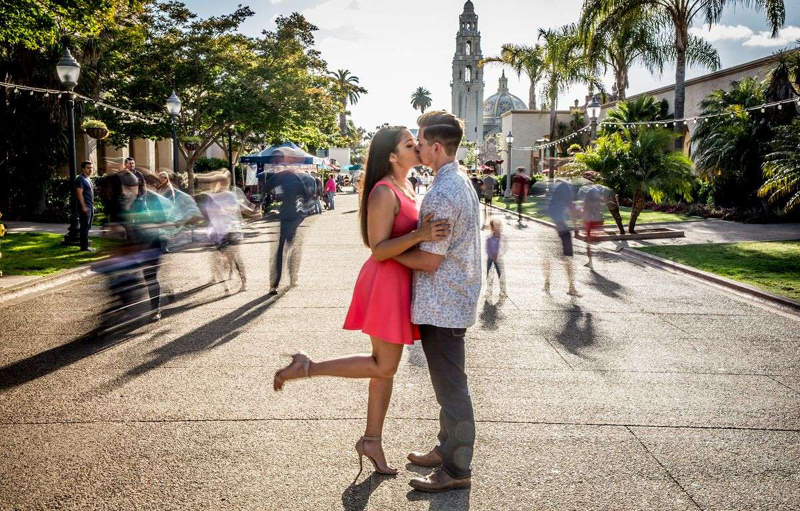 Want to get engaged on Valentine's Day? You're not alone. 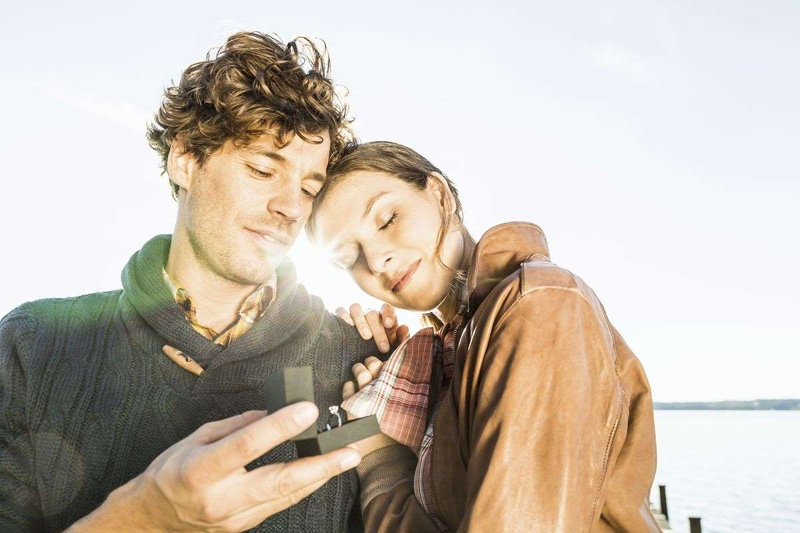 A 2017 study from jewelry retailer James Allen found that 43% of millennials surveyed chose February 14th as their ideal day to pop the question (or be proposed to). But how can you avoid cliches without spending a fortune on skywriting? Skip the expected tropes and go for the things that mean something to you. 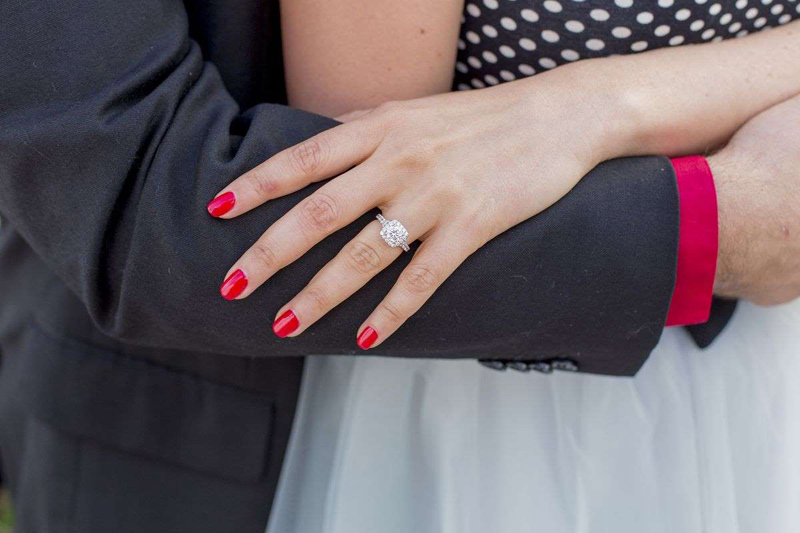 Rather than getting engaged during your fancy dinner out, get engaged before. Two reasons: 1. 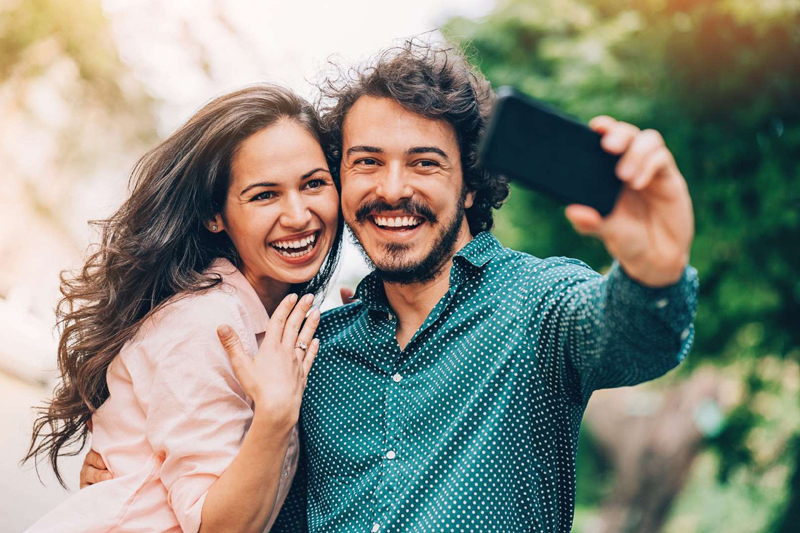 You can have the moment be between the two of you, and not you and a bunch of random restaurant-goers and 2. you already have plans in place for a post-engagement celebration. Waking up to a ring might be the best way to wake up. 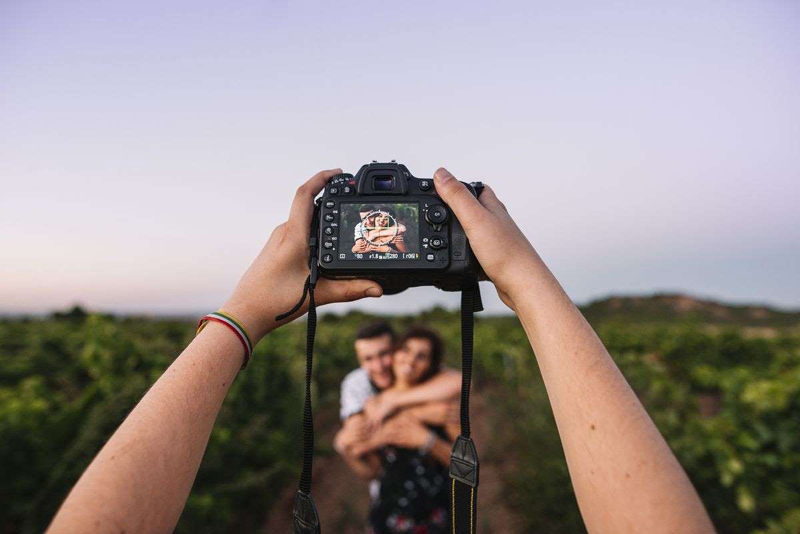 After the main event, plan a whole day filled with romantic activities. 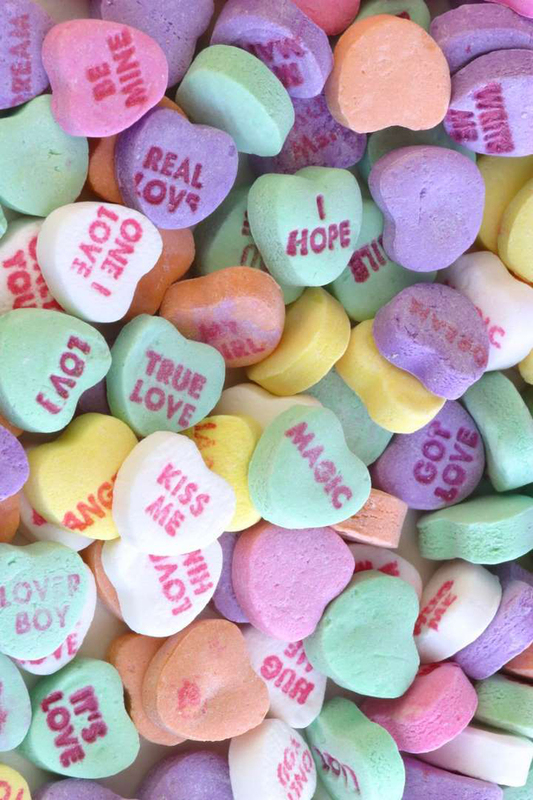 On a personalized conversation heart. This is the sweetest way to do it. But if you want a keepsake instead of something edible, Etsy's got you covered. The first place you kissed. Or the site of your first date. Or the first place you said "I love you." The most important thing is to choose a location that means something to the two of you. When they're least expecting it. 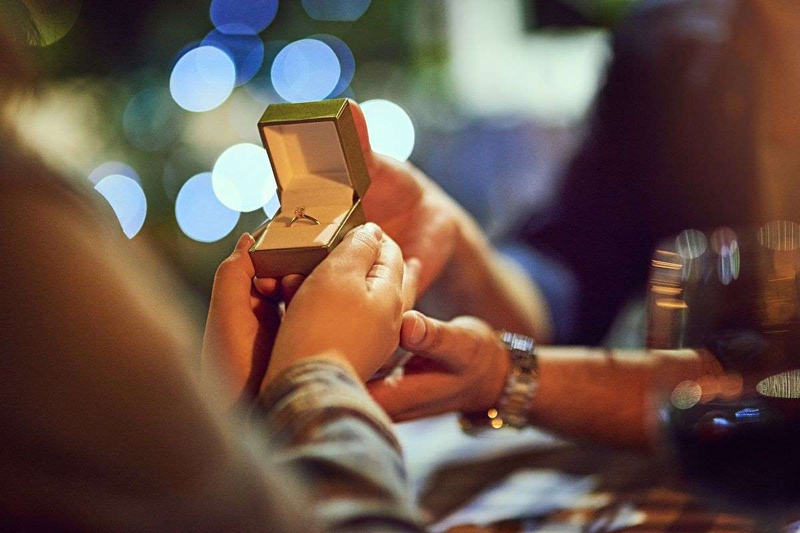 Your partner may have an idea of when they'll be getting engaged, but anything involving a surprise is always a bonus. So skip the dinnertime proposal and ask them to meet you for lunch, or be waiting in the driveway when they get home from work. 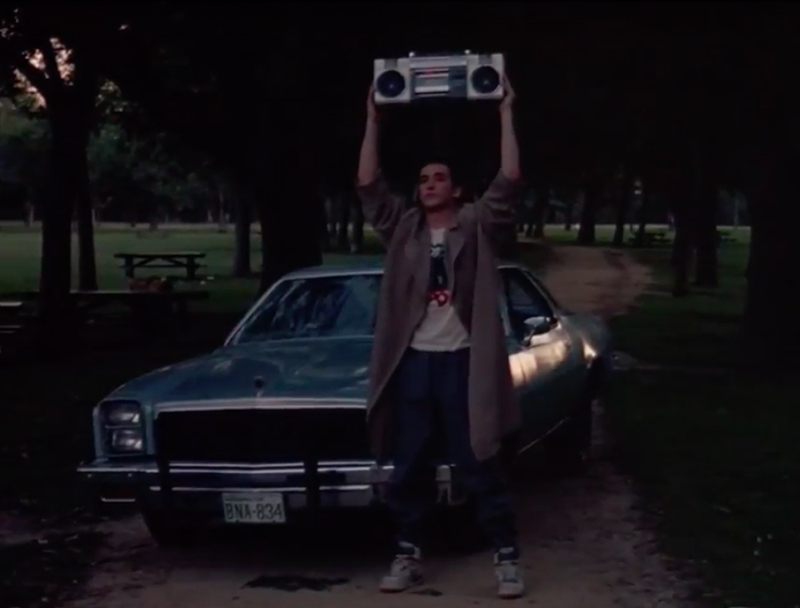 If your significant other is super into fairy tale-slash-late-'80s-movie romance, waiting outside their window with a ring (and maybe a sign ... or an old school boombox) might be the way to go. You don't have to plan anything elaborate - a day trip will do just fine. 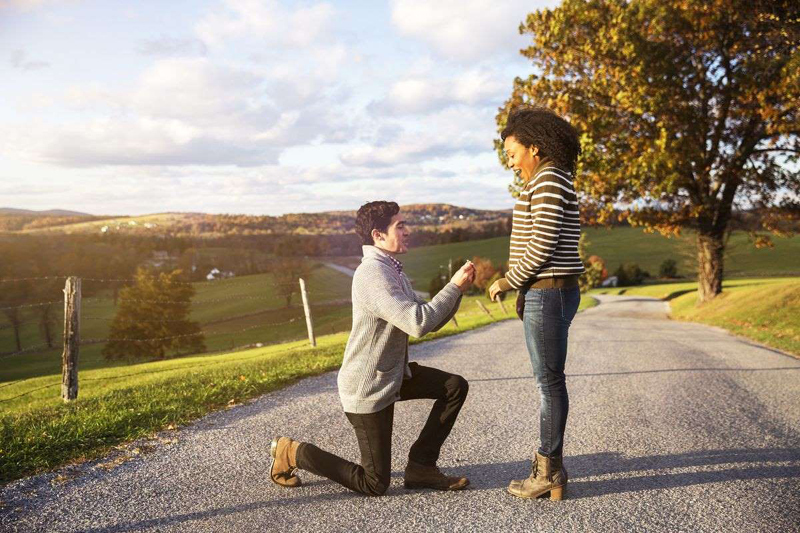 Just be sure to pull over somewhere picturesque to pop the question. 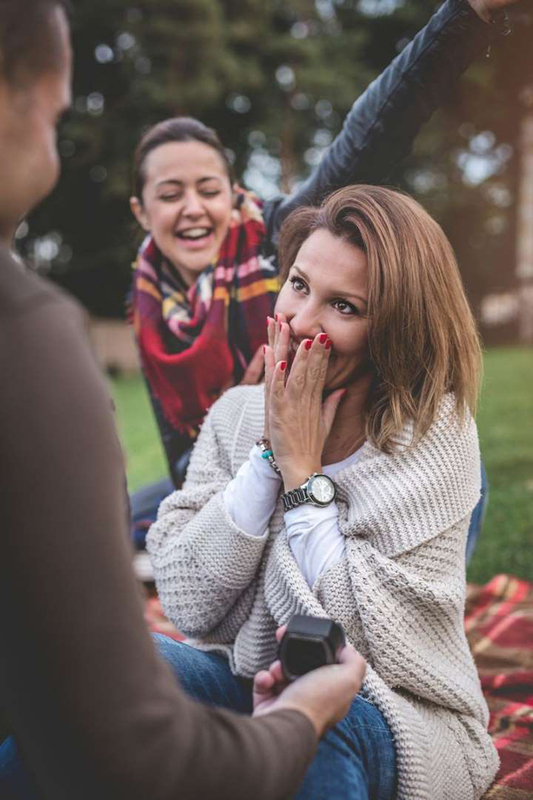 Injecting your scheme with some of your inside jokes will make the proposal both meaningful, heartfelt, and sweet. While someone else is taking a photo. Out and about? Ask a stranger to take your photo - then give said stranger a heads up about what's about to go down as you hand them your camera. Bonus if the scavenger hunt hits all the places that mean something to the two of you. Get their friends and family in on the fun by asking them to gather at a pre-determined spot. After you pop the question, you'll be able to get right to celebrating. But this time, do it not for the 'gram - do it for the memories. The fact that you'll probably get a good Instagram or two out of it is just icing on the cake. Get it? They're the key to your heart? Okay, that's a little cheesy, but you can add some fun to it by having your partner search for a key or by asking them to solve a combination or puzzle that opens the box. The surprise inside? A ring! 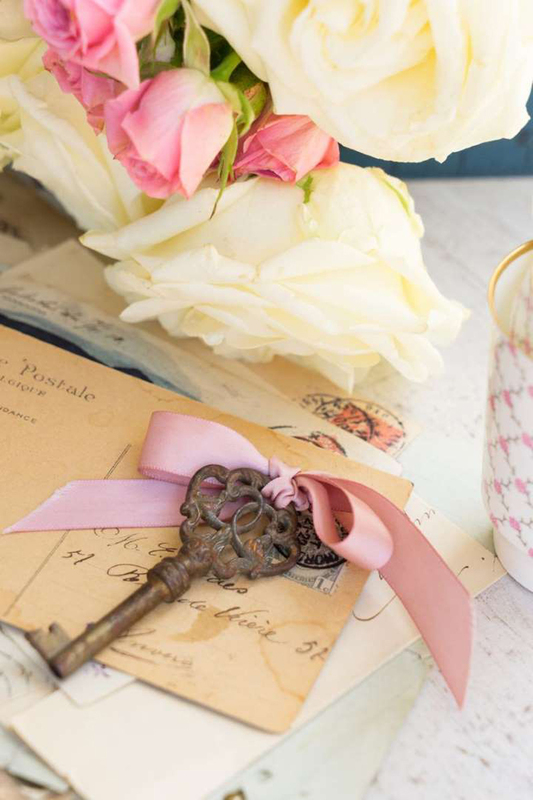 Create your own happily ever after by hiding the ring inside of a book that means something to the two of you - maybe it's a romantic story your partner loves, or their favorite book, period. 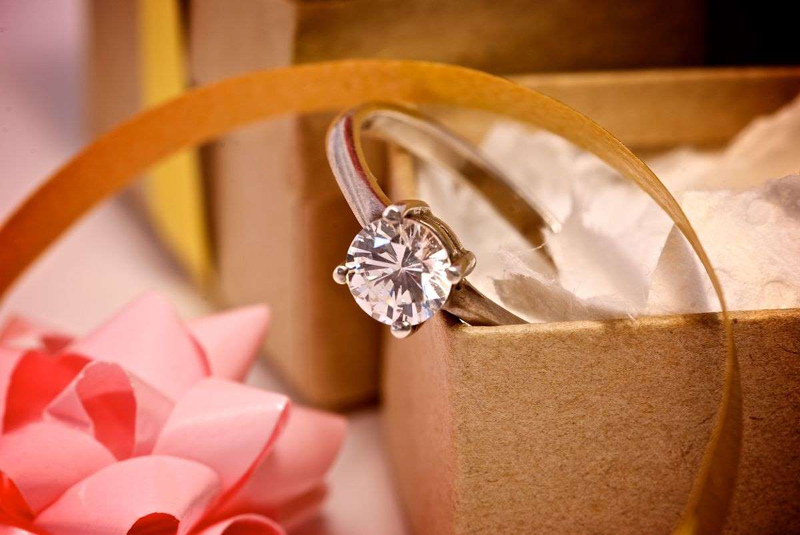 Put the ring in a package they'd never think would hold something as special as an engagement ring - say, a shoe or cereal box. Better yet, if they just got home from running errands, sneak it into one of their bags before they can unpack it. If you can carry a tune - or even if you can't! - a personalized song will make someone feel super special. The grand finale, of course, will be you getting on one knee for the big moment. If you're sure he's the one, what are you waiting for?